Donuts. Cookies. Cakes. Pies. Hungry? These are a weakness of mine. Donuts—I like the lemon filled best. UNLESS of course you happen to drive by the bright lights of Krispey Kreme and the blazing sign says, “Hot Now”. Right. Then it’s just the glazed ones…oh my lordy-mercy! But I admit, it’s been a while since I had a donut. Cakes. Cakes are not my choice dessert. I know. Jeff makes the best cakes in all of the Tri-State area. I said it’s not my top choice…I didn’t say I wouldn’t eat one! I like the Red Velvet cake he makes…and the Butter-Nut. But the man makes a German Chocolate cake that is —oh my stars good! Did I mention he’s mine? Okay. On to the pies. Pies I love. I love peach, apple, chocolate, LEMON, pecan, blackberry, blueberry, cherry, anything except rhubarb. I like pies. All of these have a filling. Yummy-to-my-tummy filling. If you cut it, mash it, throw it, stomp it…guess what comes out? Right. The filling shows right away. Oozing and dripping out faster than you can grab a spoon to scoop it up! What happens when you’re pressed. Stomped? Tossed down like yesterdays newspaper? Your filling…my filling will come forth. Every—single—time. Hard Pressed on every side. Yet not destroyed. This entire chapter is special to me. I have read it over and over and it ministers every time. To whatever need I have. Can we seek to be so filled with Jesus Christ that no matter what happens in our lives of dailyness…that He just oozes out all over everyone—and everywhere? I know that dailyness is not a word, but I think it fits here. Can I just add that to your vocabulary? I have a t-shirt from Mary Englebriet that states, “Life is Just So Daily”. To me that says it’s FULL. Of stuff that you might not expect. Jesus should be found in the daily of our existence. Not just on Sundays! In the Monday-Saturday too! 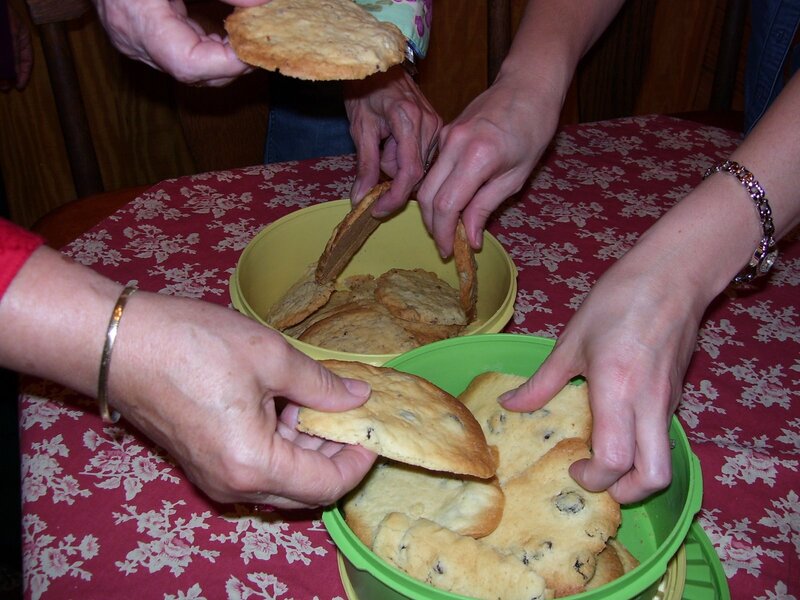 Pictured are Aunt Evielean’s Special Cookies from the 2007 Sister’s Retreat! It’s a Tradition. Let’s have a “sit down”. I have some special “Raspberry Tea” I would love to share with you. Actually you can choose Jasmine Tea or a Breakfast Tea if you like. But let’s sit here at this table. I was reading a while back in I Kings chapter 22….and this “jumped” off the page. So the four hundred or so prophets were brought in to give “the word” to the king. Or the “go ahead”. And they all tell him “what he wants to hear”. I think that when all the “sounding brass” prophets began their encouragement to go to battle—it may have sounded something like “Charlie Brown’s teacher”…”wah-wah-waaaaah–wah—wahhhhh… to Jehoshaphat’s ears. But when Micaiah was called in and gave his “Word from the LORD”…it rang clear— as truth always does. To those who want to “hear” the truth. Okay. I know you are wondering….what is up with this? Let me finish…drink you tea. We’ve got all day….well, maybe just a little while longer. But it won’t take me long. Here—let me pass you some sugar…need some lemon for your tea? On most week days, my sister, Aimee and I discuss whatever we read that morning or the night before in our devotionals or Bible Study. Sometimes, life enters our conversations. Okay. On most days. Life interrupts what we most enjoy discussing. Sometime last year (I really can’t remember the month it took place), we were plagued yet again by another “family situation”—we begin to talk about the “whys”. No clear answer—-except the “enemy of lies and deceit” has been at work. It is purely amazing who he attacks. We have a loved one who is surrounded by bars of deceit. We both love him and have prayed for him for all of our praying lives. Little does he realize the metal that constrains his life has constrained ours as well. Not in a physical form…but in a spiritual form. Why? Well, I think maybe because it has caused us shame. Not only shame, but pain. The pain comes from the fact that “the loved one” cannot see what the enemy is doing. Even though this road has been traveled before. You’d think one’s eyes would be open to the ploys of the enemy. But I see now that his eyes were not opened completely—and sad to say…for many of us we don’t learn a lesson of listening to lies the first time. I have battled telling this story. Partly due to the shame of it all. Even though it is not about us. It still affects us. Even though we didn’t cause it…we still feel it. Do we realize that our actions have “reactions” in others? That they are affected by our actions and decisions. Parents know this is true —they know it all too well. But kids know it as well. Kids of parents that are living with the enemy of lies and deceit. I don’t know what you have faced. I don’t know who or what you have listened to. But know this. God is not one who would lie. Rather He will help you see the truth and deal with the truth—even though it may be painful. He is the only One who can heal, restore and bring glory to the shame filled—deceived life. If you have a wound—that has not healed due to the lies of the enemy—give it over to Him today. Don’t let it poison your entire life. Let Him heal you. We are left with a reminder of His love and mercy. 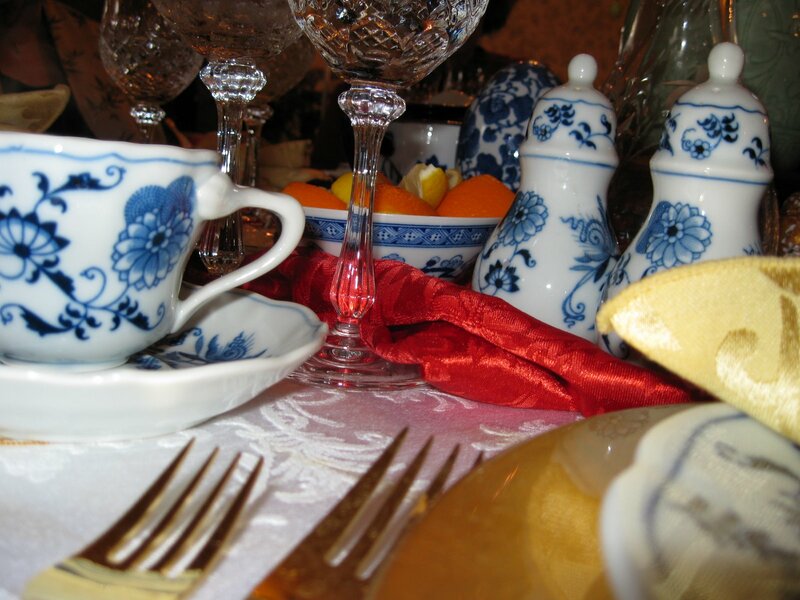 Picture from the our Women’s Tea –I was invited to sit at “Susan’s table”! Fall, with all it’s gloriously vibrant colors is my favorite season. 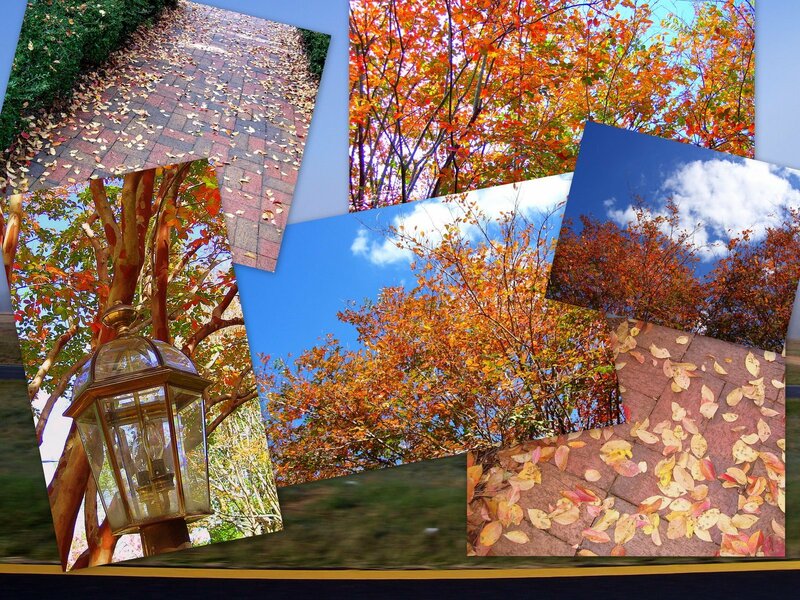 The vivid blue of the sky, the bright oranges and rusty reds as the trees change their garments is one of the most spectacular beauties in God’s creation. I love it! As I drove to work this morning, a heavy cloud of smoke hung in the air over the fields on either side of the highway. Obscuring the brightness of the sun, it almost looked like a thick fog, but when I rolled down my window to get a picture of the field, the smell of the brownish-gray haze nearly choked me. I quickly rolled it back up and turned on the air. Unfortunately, that too, pulled in a bit of the smell. Or, had it embedded itself, that smokey smell, into my nose and head so that I couldn’t tell what I was inhaling. It looked like one thing….but smelled all together different. Sin is like that. Appearances can be all too deceiving. We must stay alert and aware—at all times, for the tricks of the enemy will become ever more crafty. Just as we are growing closer to the Father, so the enemy of your heart, the saboteur of your own soul is seeking ways to stumble your running feet. Let’s look at Job’s life. You’ve read the story, or heard the story probably many times in your life. But think about your life while you read it. What would the LORD GOD have to say about us? I thought of my own. I’ll tell you in a minute. Read on. When I read this I thought to myself, “Is there anything in my life that the Lord could be proud of in me? Could He say I was totally sold-out-dedicated to Him? Could He say I was completely EVERY TIME obedient to Him? Could He say I was never distracted by the world and was devoted only to serving Him? It has really given me many areas to pray about in my heart. I guess what got me started was remembering past sins. Last night I was working on the Bible Study for Sisters of Faith site that would post this morning. We prepare them day by day. Every single day. We have enjoyed it so much, and I told Aimee this week, “God has really been dealing with me and working on some areas in my life since we started this journey. Yes, I admit, it has been hard at times juggling schedules. Difficult even. Time stretching. I have neglected watching TV. I am sure that my favorite shows stopped coming on since I have not watched them in the past 67 days. Surely they did. But in the past 67 days, God has done 67 days worth of repair work. Needed repair. Necessary for growth repair. And growth is taking place. What about you? What if you turned off something and turned in you Bible more? Maybe a 90 study is too much. What about a 60 day study? A 30 day? What could you fast from? I tell you from my experience in this, the changes taking place in my heart and my vision is worth missing the TV. I want my eyes to view the world as He does. With the compassion needed to reach hungry hearts. There are so many out there. Hungry for God. Reaching out. Needing an ear or a shoulder. Some are hungry and they really don’t know what they hunger for…but we do. Don’t we. Honey-pie, before you start thinking that I have got it so in control…think again. Remember me and traffic issues? Yeah. They happen everyday. But you know, I have discovered, if I am singing a song to Him, or talking to Him, the traffic issues in downtown, Hometown are not nearly as bothersome. When did I make this discovery? This morning. Do you know when I’ll need to be reminded of this? In the morning. I’m not perfect. But as my cousin Alice’s daughter Kristi, used to sing when she was wittle bitty, “He’s Still Working On Me”….to make me what I ought to be….it took Him just a week to make the Moon and the stars, the Sun and the Earth and Jupiter and Mars, how loving and patient He must be….’cause He’s still working on me. What about you…what’s your favorite? What’s going on with you these days? 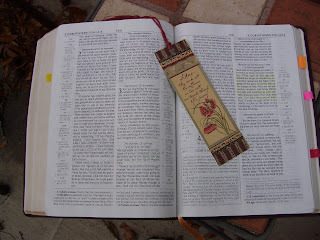 IF you aren’t already involved in a good Bible Study….I have a couple of suggestions: Sisters of Faith (click on the blogsite) and Amy (my bloggity designer!!!) of In Pursuit of Proverbs 31! May God’s best blessings be poured out “onya”! This morning…as every morning–I begin my Bible Study while traveling. Yeah, I know. But—let me tell you with the life changes that have gone on…this is where I am less rushed. Before—at home, sometimes I would hurry through them to get ready for work. There is no hurrying this. I drive the same 42 miles every.single.morning. So God has ALL My time and attention. He has a purpose for our lives! Mine and YOURS! AND—are you ready for this—-His love endures—-and we are the work of HIS HANDS! HIS creation! His faithful love….His enduring love—-is far better than life! He shares His love throughout His Word with us! He shares His desire to help us and bless us…and gives us the plan and direction for our lives in HIS WORD! All we have to do is read it! Thank you Iris for pointing us in the direction of the WORD with thankful hearts! We have the privilege and honor of owning as many Bibles as our shelves will hold! Do we READ them? Do we APPLY them? Well? Hey, I had to ask myself that same question before I laid it out to you!